More than ever, movers need to focus on customer service as the key to earning future business. The 2015 U.S. Census found that the typical American will move 11 times. In addition, our recent survey found that 83% of homeowners would use a referral from a friend or family member. With every satisfied customer, you are securing future business by creating a Lifetime Customer or building a vital referral resource. You can turn a one-time job into multiple future moves through exemplary customer service. Below are a few suggestions for exceeding expectations from start to finish. Do you want to know more about who your customers are? Read What Characteristics Best Define Today's Pre-Movers? Nothing is more frustrating to a homeowner than dealing with an impatient estimator. It may be just another day on the job to you, but to the homeowner, you're discussing their most precious possessions. Prove to them that you are looking out for them. Take the time to really listen to their concerns, such as flagging items that important to them, to show that you care about their belongings and are willing to take the extra steps to protect those items during the move. Every customer is unique. They may have special needs that you will need to accommodate. This is particularly true with older generations, who are often downsizing or moving across the country. A small investment of your time can offer rewards that pay off. You should have a lead contact on site during the move. This is the person that should be introduced to the homeowner as the one they can turn to with any questions or concerns. They should conduct a full walkthrough of the house with all the crew and let the homeowner point out the items that need special care or any things of importance to them. On-site, all communication happens through the designated Lead, but what happens when all their possessions are driven off in the truck? Make sure that the homeowner has the cell phone number of the driver or office, not only on a piece of paper (which can be lost easily) but also saved on their cell phone. And just as important, make sure the driver and office staff have all the contact information of the homeowner while they are in transit. Every member of your staff is a representation of your company culture and reputation. Make sure they have been given the proper training to minimize complaints and insurance claims. 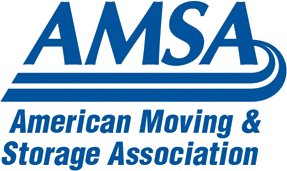 Ward North America, the 2014 AMSA Mover of the Year, requires new hires take part in a 4-day training event. At the end of their training, every hire must pass a 200 question test. This ensures that every member of the team understands the expectations of their work and has the skills to get the job done right for your customer. Moving can be stressful. Everything a homeowner owns is in a box and they'll inevitably need something they can't find. Be prepared to help and diffuse their stress. Here's a couple of suggestions. Start the day off right! The homeowner has probably packed their coffee maker so bring coffee and breakfast muffins for your staff and the homeowners. Provide a box of candy/treats sitting out for homeowner and staff to keep energy and morale high. Keep at the ready a box of “Must Haves / Things Homeowners Always Forget.” They can’t find a box opener, but you have one they can borrow. They cut their finger – make sure you have a first aid kit. It’s the little extras that will make you stand out as an exceptional service provider. The last step is making sure that a homeowner is happy with the job. If there are any issues, try and resolve them immediately. You do not want to walk away from an unhappy customer. While they may never give you that five-star review, minimizing negative reviews is crucial. If the job has gone well, the Lead staff member should take time to thank them for their business. If they were happy with the job, tell them we would sincerely appreciate their future referrals to friends and family. Be prepared to leave a postcard or business card with your information. Everyone is tired by the end of the move, so following up later, versus pestering them at the end of an exhausting move, is always a good plan. A few days after the move make sure to send a handwritten thank you. We provide business thank you note templates movers can copy and use. Always ask for Referrals and General Feedback. - Ask for referrals. Consider having an offer on the email that can be sent to their friends and family, or offer a small gift or referral bonus for new customers that mention the referral. Here is a sample Follow Up Email. - Ask them to recommend you to their Real Estate Agent. This recommendation can go a long way to building referrals from Real Estate Agents. Reach out every spring to ask for repeat business or referrals. Sending a simple note or postcard will put you ”top of mind,” and can turn this past customer into tomorrow’s business. See more information about our A.R.R.W. mailing templates. Providing excellent customer service is a differentiator. For movers searching for ways to stand out and grow their business, focusing on customer service is a strategy that pays off. We hope you enjoyed this article on how to improve the customer service of your moving company. If you'd like to discuss a direct mail program or our moving leads, reach out to us. We can help develop an automated marketing program that reinforces your company's reputation.